The Catskills are a series of mountains in upstate New York, about 3½ hours easy driving from Boston. Since the 19th century the area has been a tourist destination due to the high vistas and ease of access from the Hudson river, which flows nearby. The forested mountains contain many a quaint town and a bunch of ski resorts, and the region looms larger on the American psyche than you may expect - Woodstock is nearby, many famous artists lived there, and it is the setting for both Rip van Winkle for which they make a big deal about and Dirty Dancing for which they, correctly, don't. However there is an air of faded glory on the hills, a feeling that the grander of the past has diminished somewhat. Many of the really grand hotels are now ruins, replaced by ski chalets and B&Bs. Nothing wrong with that, but the gilded age of The Catskills is over. But we were visiting in the warm off-season, I am sure the towns are buzzing in wintertime. The hiking is very good around the hills. 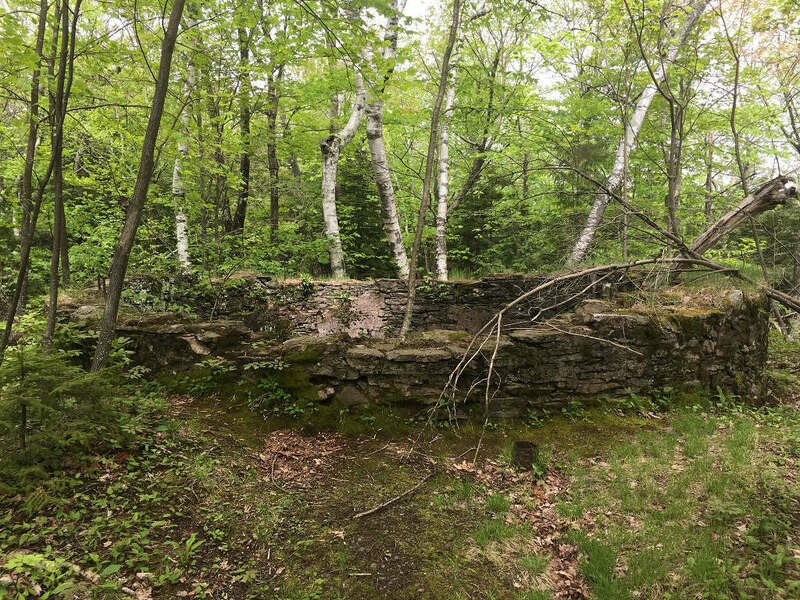 The trail we did took in some of ruined hotels and lead to an amazing rock ledge that looked out across the Hudson river back into Massachusetts. Apparently there is a place where you can see five states, which doesn't seem plausible until you see if for yourself. The drop-off from the ledge is alarmingly steep - not a good place for acrophobia suffers. 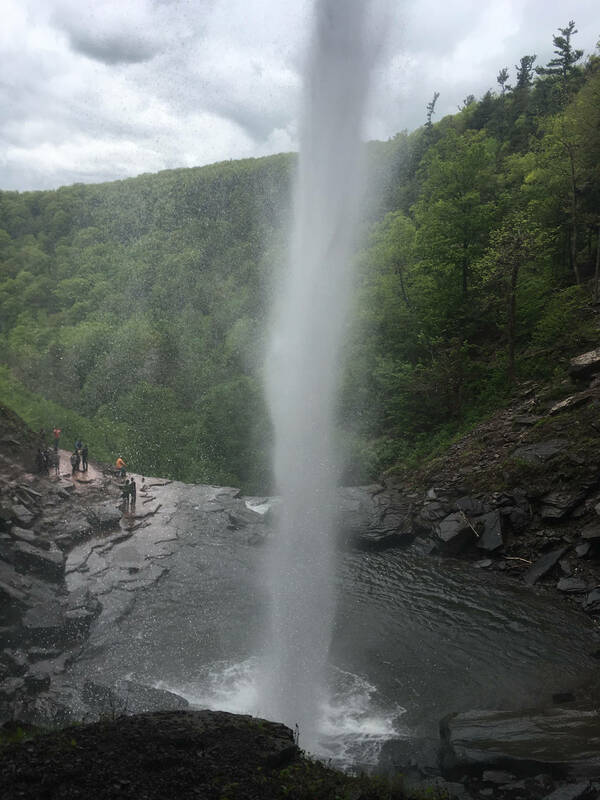 On the way back we took a detour to visit the very popular Kaaterskill Falls, a duo of impressively large waterfalls. We did have to fight the crowds but I have finally ticked off my life-long ambition to stand behind a waterfall Last of the Mohicans-style.